Rock on with me.... Unity Style! Happy Friday!!! Friends with flair here we are!!! For the first time ever I am participating in Unity's Friends with Flair! 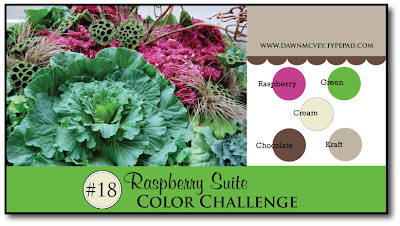 I was also able to incorporate Dawn McVey's Raspberry Suite color challenge and The Pink Elephant's weekly challenge which just happened to be a sketch. Make sure to check it out! . Better than that I was able to use my UNITY OCTOBER KIT OF THE MONTH!!!! I also used PI's paper (the green, pink and brown) while the kraft and vanilla are SU. The awesome stamps are UNITY of course. These are from the October KOM. I used my fiskars punch for the fancy edge and used the SU build a brads and bright delight rub-ons. I also used two of Unity's background stamps, the distressed dots and worn grid. This card just makes me want to sing. I added the 1,2,3 because it made me think of a band warming up... 1... 2... 1,2,.3... ROCK ON! This adorable card show cases the KOM stamps!!! Don't you just love them. The clouds are from the July Kit and this adorable plane and banner are from this months kit. I used some of the paper left over with the distressed dots wove in some string stamped the images on Basic Grey paper and there you have it. Make sure to check out Unity's Fall Garage Sale which is happening ALL weekend!! Deals that you just can't pass up! Have a ROCKIN' Friday and Happy hopping! Posted by Jennine Chambers 25 inspiring thoughts!